In comparison to our competitors, Authentic Provence Caisse de Versailles are composed of an aluminum metal frame. The panels are made of teak wood and therefore are extremely durable and weather resistant. The bottom of the planter is furbished with an aluminum grid to allow the release of excess water. At Authentic Provence, our planters are durable and weather resistant. View our Versailles planter here. Categories: Garden Planters, Caisse de Versailles. 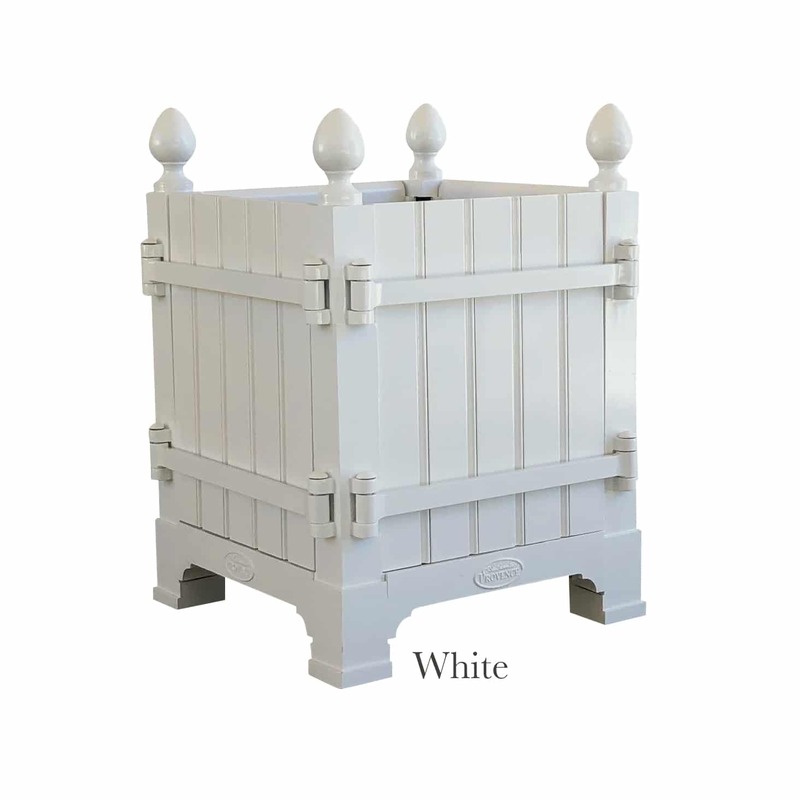 Tags: Caisse de Versailles, CUSTOM COLOR, PLANTER, VERSAILLES, VERSAILLES PLANTER, WOOD. A: 29.5 H in. x 21.5 W in. x 21.5 D in. | B: 33 H in. x 25.5 W in. x 25.5 D in. | C: 43 H in. x 33 W in. x 33 D in.